And as much fun as it is to celebrate birthdays with friends (I’m in San Fran! ), I’ve concluded there’s a birthday more important than the one marking my first breath. I’m incredibly humbled to share in this special day in my daughter’s life. Some may ask, “Wasn’t she already baptized?” Yes, Gary & I baptized her before God and our family in November 1991 when she was four months old. We vowed before God to raise her to know Jesus. Some may ask, “Wasn’t she confirmed?” Yes, in March 2005 I believed Meredith to be mature enough to understand the profession and commitment made in confirming her infant baptism and she was confirmed. But those decisions reflected my decisions. On a glorious, sunny Sunday surrounded by friends and family who love and encourage her walk in faith, mentors and co-workers who teach her Biblical truth and stretch her God-given talents beyond the boundaries of her heart and mind, Meredith stepped into the baptismal waters and publicly professed her faith, giving her whole heart, her whole life, to God. Our loving Father had set up residence in Meredith’s heart many years ago. Privately, she had given her heart to Him a number of years ago as she experienced the fullness of His grace, His loving mercies, the overwhelming depth of His love as a 6th grader attending her first FCA Camp. On this glorious Sabbath, as a mature young adult, fully capable and cognizant of her decision, she gave her heart to Him publicly. As I stood in line waiting to enter those baptismal waters with her, I was honored to be a part of this day as I fully understood the supreme importance of this moment in Meredith’s life, her earnest commitment to live her life fully walking with God. When she arose from the waters, a smile erupted on her face radiating the deepest joy of her heart…she is a beloved, redeemed child of God. I was humbled, grateful, and thankful to witness and share this moment. 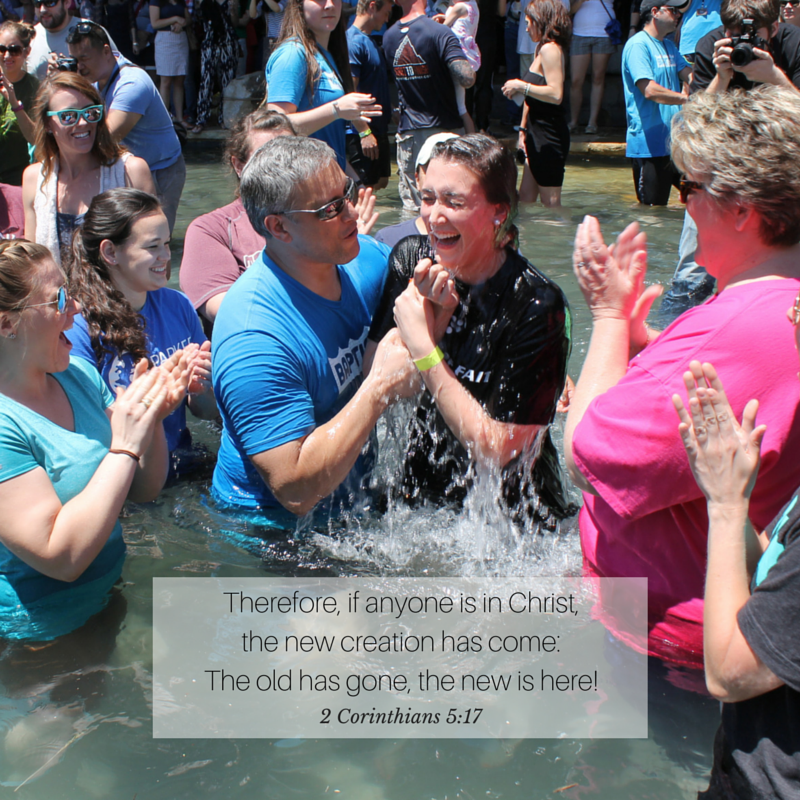 Have you publicly identified with Jesus through baptism? I’d love to hear about your experience getting “dunked” in the comment section below!